Disney Parks will officially kick off the holiday season on television earlier than ever this year, with three musical holiday specials set to air Nov. 24 & 25 and Dec. 25. Shot at both the Walt Disney World Resort in Florida and the Disneyland Resort in California, each of the three shows will feature special musical performances and celebrity appearances. “The Wonderful World of Disney: Magical Holiday Celebration” on ABC on Nov. 24, from 8-10 p.m. EST. Emmy Award-winners Julianne and Derek Hough will serve as hosts for this two-hour special from the Walt Disney World Resort, which will also feature “Descendants 2” star Sofia Carson, a duet by Trisha Yearwood and Garth Brooks, and a performance by Kelly Clarkson. “Disney Parks Presents: A Descendants Magical Holiday Celebration” on Disney Channel on Nov. 25 from 8-9 p.m. EST. Musical performers include Dove Cameron, Cameron Boyce, Sofia Carson and Booboo Stewart, “Descendants 2” star China Anne McClain, Trisha Yearwood with Garth Brooks, and Kelly Clarkson. ABC stars and Disney Channel stars will also surprise philanthropic families around the country with once-in-a-lifetime experiences at the Walt Disney World Resort. “The Disney Parks’ Magical Christmas Celebration” on the ABC on Dec. 25, from 9-11 a.m. EST. Join holiday hosts Julianne and Derek Hough for a magical ride down Main Street and beyond for a celebration that brings together the beloved Christmas day parade with magical musical performances, surprise celebrity guests and heart-warming family stories. Musical performers on tap are Trisha Yearwood and Garth Brooks, Kelly Clarkson, Sofia Carson and Jordan Fisher. Additional performances will be announced for each of the three holiday specials over the next few weeks. The latest installment of TCM’s exploration of the Disney Vault will air Tuesday, June 28th. Turner Classic Movies is proud to host an on-air showcase of Treasures from the Disney Vault. Several times a year, TCM will feature a wide array of Disney classics for the entire family to enjoy, including animated shorts, feature films, live-action movies, documentaries, nature films and made-for-television movies. Treasures of the Disney Vault begins at 8:00p.m. EDT with 1961’s The Parent Trap and will end Wednesday, June 29th with the 4:00a.m. EDT showing of 1983’s Trenchcoat. In between will be such Disney treasures as Clock Cleaners, Old King Cole, and Hot Lead & Cold Feet. Each feature will be introduced by host Leonard Maltin, a distinguished Disney historian who will help place the feature into the context of its time and educate the viewer on what they’re about to see. Since the programming runs overnight, be sure to set your DVR to catch every Disney-filled moment! For a complete listing of the features and the airing schedule, be sure to visit TCM. Any Walt Disney fan should already be aware of this, but in case you’re not, here’s your notice to set you DVR or other video-recording device to record this upcoming PBS special. 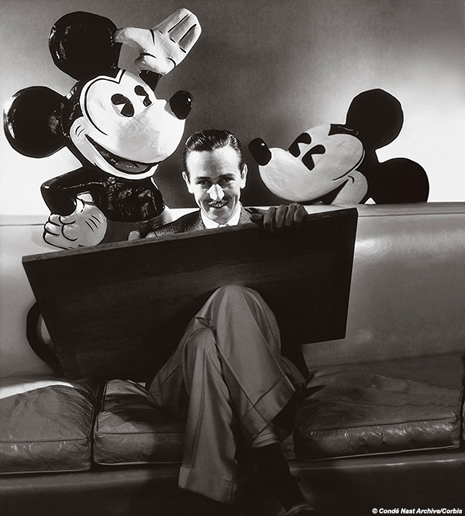 “Walt Disney,” a new four-hour, two-night film that explores the life and legacy of one of America’s most enduring and influential storytellers, will premiere Monday and Tuesday, September 14-15, 2015, 9:00-11:00 p.m. ET on PBS (check local listings). 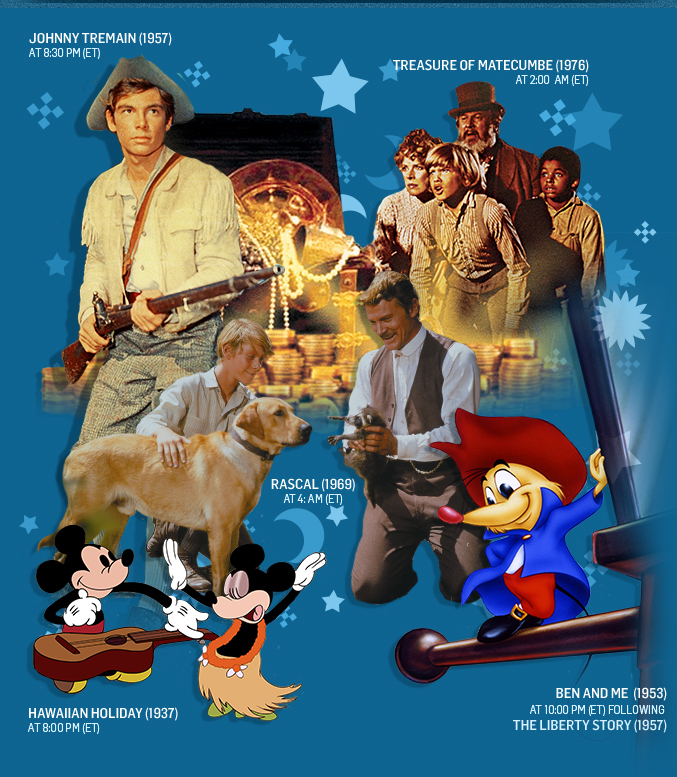 The third installment of TCM’s exploration of the Disney Vault will air Thursday, July 2nd. Treasures of the Disney Vault begins at 8:00p.m. EDT with 1937’s Hawaiian Holiday and will end Friday, July 3rd with the 4:00a.m. EDT showing of 1969’s Rascal. DisneyParksLIVE: WDW to LiveStream IllumiNations! Bob Collins on Happy Independence Day, America! Fireworks To Be Streamed Live!! Bob first visited Walt Disney World in 1975 when he was 6 years old. He went back with his wife and two daughters 37 years later in 2012. Since then, he and his family have visited WDW each year at Spring break or when school is out for the Summer. They currently have another trip planned for March 2018.